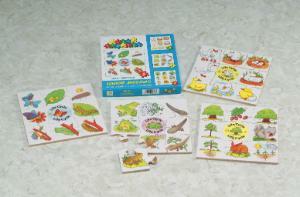 These beautiful wooden jigsaw puzzles depict the life cycles of a tree, butterfly, frog, and duck. 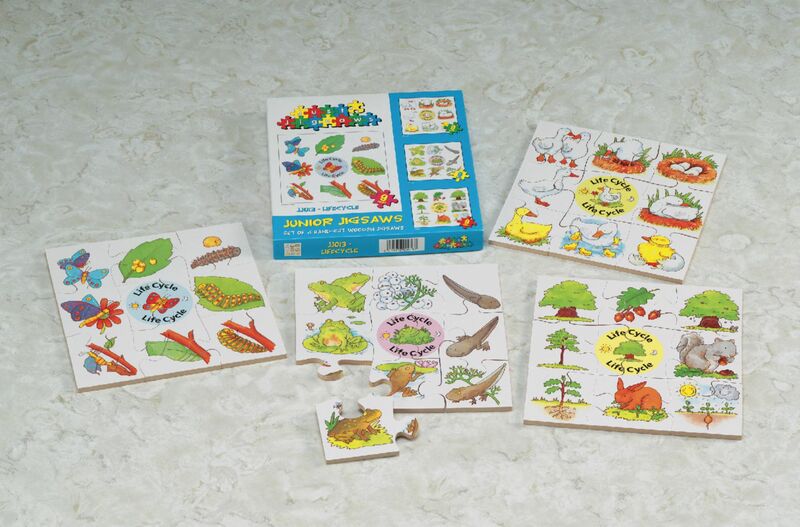 Each puzzle measures 8" square and is composed of nine wood pieces about 1/4" thick. Set of four.